Forgive the lack of analysis, but I really do need to get some sleep! We reported last year that ‘all-cards-in-one’ app, Curve, had been trialling Amex compatibility with its platform in a closed Beta. The trial appears to have been a success because the functionality is now open to everyone! “During Beta testing, at least 500 Curve users spent more than £1 million on their Amex cards by paying with Curve and the reviews were phenomenal. We are now excited to be taking the Beta public. Gone are the days of hearing ‘Sorry we don’t take Amex here’. Enjoy using your Amex all over the world with Curve, without ever missing reward points or paying hefty foreign transaction fees when overseas. We’ll be exploring more about how the new Amex/Curve hookup works in practice soon, so look out for that. Beautifully crafted Metal Cards. Choice of Blue, Red(Limited Edition) and Rose Gold card. Don’t forget that the standard Curve Blue card is still free – in fact they will give you £5 after your first transaction if you use the code INFLY when you sign up. You can see a comparison of all 3 cards side-by-side here. What do you think about the new Curve Black and Curve Metal? Back to square one… Again ! I signed up for the Black Curve sometime last year and it has been great. And free. The only reason I did sign up for it was mainly due to the partnership with Amex as that is the main card that I use. I also did the Beta testing as well and it worked absolutely fine. Just over the weekend I upgraded to Curve Metal, got charged the initial £14.99 and was looking forward to 4 months subscription free (after the first subscription payment had cleared – and paid using the Amex card btw!) and also the unlimited Amex topups. I suspect that I am going to now have a lengthy conversation with Curve Support because I recall as part of the Ts & Cs that you can’t ‘downgrade’ to your previous version of Curve Black. Or something along those lines. But I didn’t mind so much given the partnership with Amex. We’ll see how it pans out I guess, but pants news nonetheless. Pretty poor show from Amex & Curve, you would of thought any issues were ironed out during the Beta test and a binding agreement met before launch. Apparently, the Amex statement says “following the Beta test we informed curve we would not participate in the further roll out”…I supposed Curve didn’t have a binding agreement with them and proceeded anyway. Aside from the Amex issue….. Can you withdraw money from an ATM with a Mastercard Credit card attached to your Curve card (e.g Virgin CC) or will you get charged cash advance fees from Virgin. I would imagine if you used the actual card (your Virgin) then yes, you would be charged the fees associated with that card issuer’s Ts & Cs, as it would be no different than making a withdrawal from that card irrespective of whether you had the Curve card or not. 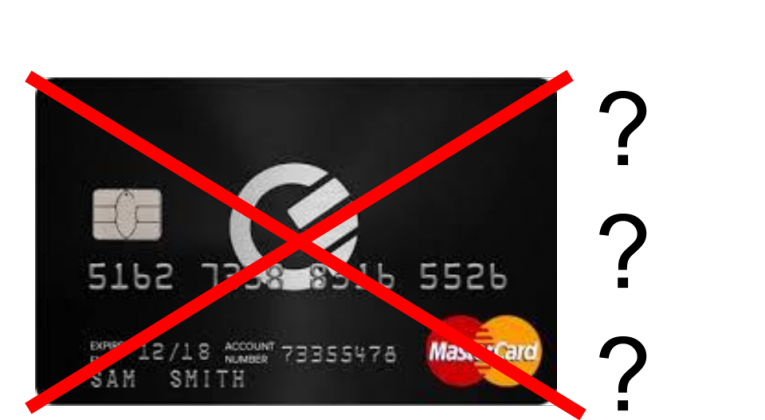 And furthermore, any transactions made with the actual card are outside of Curve anyway and don’t show as part of the history. If you used the Curve card to make the withdrawal, then at the point of withdrawing the cash, whichever card you have associated as your ‘primary’ card for transactions will be tied to the withdrawal. I suspect you can reallocate the transaction using the ‘go back in time’ functionality, but as I’ve done this with card transactions, I can’t comment on whether you can do that with cash withdrawals (although I can’t see any reason why you wouldn’t be able to). With Curve Blue, you can withdraw cash fee-free up to £200.00 a month. For Black it’s £400.00 and for Metal it’s £600.00 and you can see that information here.